"American Sean Crocker is another to have shown potential on various tours and he went well on both Australian outings - finishing seventh here and making the quarter-finals of the Super 6." Historically, the main Australian events are famous for their predictability - with champions invariably found among the relatively small number of overseas-based stars. Given the strength at the top of this year's Australian PGA Championship market, there's every reason to expect the same. Not so long ago, betting on the PGA was frankly easy. Between 2000 and 2010, Robert Allenby, Peter Lonard and Peter Senior won nine titles between them, with the other two going to fellow home favourites Geoff Ogilvy and Nick O'Hern. In keeping with wider trends within the game, though, more recent renewals have been much trickier. Daniel Popovic produced an unimaginable upset in 2012, while Nathan Holman rewarded big-priced backers in 2014. Plenty of similarly unlikely types have earned places. Do bear that in mind before piling into either of this year's favourites - who teamed up in last week's World Cup. The claims of both Marc Leishman and Cameron Smith are blindingly obvious. Smith is the defending champion and made the top-15 in each of the last four years. Significantly, he has improved leaps and bounds during that time and I would argue particularly since last year's triumph. He's gone from inconsistent up and comer to regular contender - recording strong finishes in majors, World Golf Championship and FedEx Cup events. For me, Smith is the man to beat around a course he evidently loves. Leishman starts favourite after his recent CIMB Classic victory and he too has good course form, never finishing worse than 21st here. One hard to explain negative, though, is that he has never won on home soil. If we're talking course specialists, then Harold Varner certainly fits the bill. This US raider has finished runner-up, winner and sixth in three visits. Critically and like Smith, Varner has really improved of late - making nine of his last ten PGA Tour cuts, including six top-25 finishes. As Abraham Ancer proved in the Australian Open, PGA Tour middle-rankers warrant the utmost respect at this level. The same applies to high-class European Tour form and both Lucas Herbert and Jason Scrivener bring plenty of that to the table. The latter was third last week in Hong Kong but surprisingly has never made the top-ten here in five attempts. Having followed Herbert at big odds in Europe all year, with some success, this home stretch is a long-awaited opportunity. He really caught the eye last winter as a serious propect, finishing seventh here, sixth at the Open and reaching the semis of the World Super 6 in Perth. Since June, he's missed only one cut and registered four top-seven finishes. Evidently Lucas loves playing golf in his homeland and his progress since confirms his status as a serious prospect, especially in this age of the bomber. He could well outstrip even Smith and Leishman and looks primed to break through. Slightly further down the list, other improvers are to be found. Cameron Davis can surely be forgiven a disappointing defence of the Open title he won surprisingly early in what will be a productive career. He's since made good strides on the Web.com Tour and made a few PGA Tour cuts. Curtis Luck showed a very early liking for these championships with a trio of top-15s in this and the Open. He's surely learning fast in the States and his results are progressive. American Sean Crocker is another to have shown potential on various tours and he went well on both Australian outings - finishing seventh here and making the quarter-finals of the Super 6. After a spate of high finishes on the Challenge Tour, this bomber is well up to making the top-ten again at Royal Pines. Another prospect very much on my radar is Queensland's Jake McLeod. The 24 year-old may not have impacted the US and European Tours but he has in Asia and Australasia. Third at the Open following victory in the NSW Open, Mcleod is bang in form. His overseas form - second at the Royal Cup, sixth at the Fiji International - confirms the run stretches further back and he made the top-25 on both previous attempts at Royal Pines. While Dimitrios Papadatos probably lacks the potential of some of these, the 27 year-old's form figures point towards another high finish. 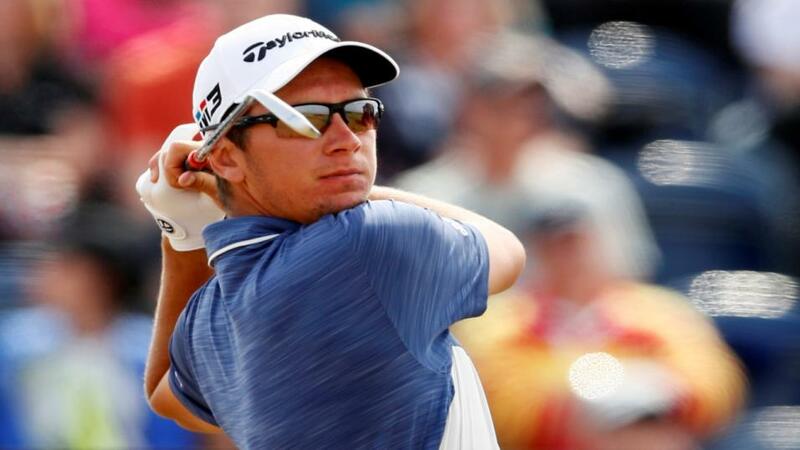 He was runner-up last time at the Open and landed his fourth professional win on the Challenge Tour in May. He doesn't get many opportunities on the main tours, but managed to record top-20 finishes in three co-sanctioned European Tour events this year. How best to play this then? Obviously the top-three have great chances but combined, their odds equate to barely above even money. Too short for me, with several likeable alternatives. Instead, I'm backing Herbert and McLeod each-way with six places on offer. Finishing position markets always appeal at this level because the strength in depth simply isn't there. McLeod, Papadatos and Crocker all strongly appeal at [5.0] plus in the Top 10 Finish market. Those bets, of course, can all be won even if Smith or one of the other market leaders run away with it.